Whether you are a first-time property investor or a seasoned professional, using “hard money” as a property investment strategy should be an option as part of your “How to Get Rich” Toolkit. For those who don’t know, a hard money loan is basically a short-term loan that is secured by a piece of real estate. Unlike a traditional mortgage loan, whose repayment terms can last from 10, 15, 20, or 30 years, a “hard money” loan is typically repaid in one to three years and often includes funds to rehab the property. Hard money loans can be used to fund “fix it and flip it” properties or to finance rental properties until long-term financing can be put in place. The advantage of a hard money-lender is they may loan the entire amount of money you will need to complete a deal. For “fix it and flip it” investors, hard money is almost a necessity since most traditional lenders will only finance a property based upon the present or appraised value as well as your income and ability to repay. 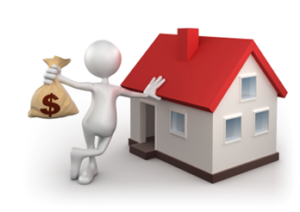 Hard money” lenders give you funding based upon the after rehab values of the property and the current equity that will exist when you negotiate a good deal. Hard money loans are particularly important when you need to close a deal quickly because “hard money” lenders have more flexibility when it comes to offering terms that are extremely advantageous to the buyer. In fact, it is not unusual for a hard money loan to turn around in 14 days or less where banks and other traditional lenders can take from 30-60 days or more to fund the exact same deal. Traditional lenders often bypass on lending to entrepreneurs or the self-employed because it can be hard to prove a steady source of regular income. Hard money lenders specialize in assisting those who often need to use more creative financing solutions. Many hard lenders will overlook the aspect of your credit rating because the focus is more on the deal and the loan is secured based on the amount of equity already invested in a property that can be used as collateral. So, if you have credit issues, are self-employed, or you need to act quickly on a piece of real estate, a hard money loan is likely the best money solution for you.